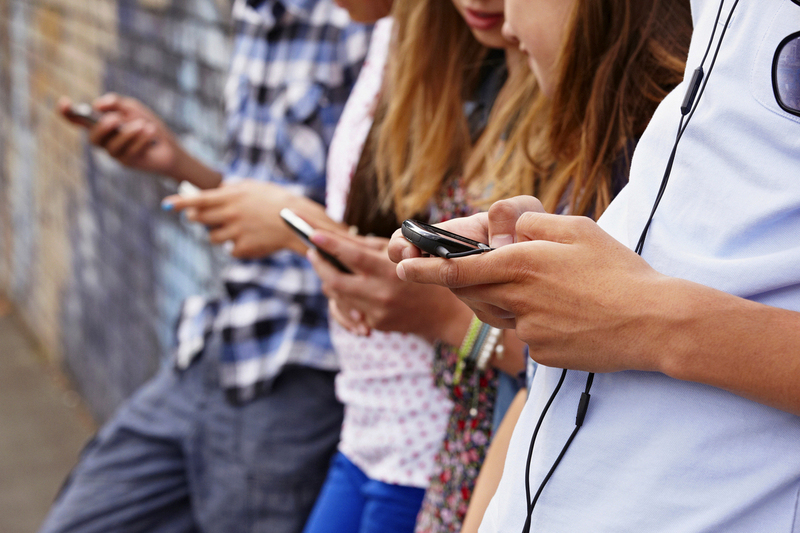 Smartphones Are Making Today's Teens Unhappy, Psychologist Says : Shots - Health News Psychologist Jean Twenge has observed dramatic shifts in behavior among children who go through adolescence with smartphones. They're spending less time with friends and reporting greater anxiety. Psychologist Jean Twenge says smartphones have brought about dramatic shifts in behavior among the generation of children who grew up with the devices. "It's not an exaggeration to describe iGen as being on the brink of the worst mental health crisis in decades," she writes in a story in The Atlantic, adapted from her forthcoming book. And she says it's largely because of smartphones. Twenge spoke to All Things Considered about her research and her conclusions. This interview has been edited for length and clarity. How does teen behavior now differ from generations past? Today's teens are just not spending as much time with their friends in person, face-to-face, where they can really read each others' emotions and get that social support. And we know from lots and lots of research that spending time with other people in person is one of the best predictors for psychological well-being and one of the best protections against having mental health issues. What is this generation facing that worries you so much? iGen is showing mental health issues across a wide variety of indicators. They're more likely than young people just five or 10 years ago to say that they're anxious, that they have symptoms of depression, that they have thought about suicide or have even [attempted] suicide. So across the board, there's a really consistent trend with mental health issues increasing among teens. Is it specifically the smartphone, or is it social media? Or is it the number of hours per day spent on these things? So, you look at the pattern of loneliness. It suddenly begins to increase around 2012. And the majority of Americans had a cell phone by the end of 2012, according to the Pew Center. Given that using social media for more hours is linked to more loneliness, and that smartphones were used by the majority of Americans around 2012, and that's the same time loneliness increases, that's very suspicious. You can't absolutely prove causation, but by a bunch of different studies, there's this connection between spending a lot of time on social media and feeling lonely. How much of a factor is parenting? So I was somewhat surprised when I interviewed iGen teens how many of them are deeply aware of the negative effects of smartphones. Parenting is playing a role. I think many parents are worried about their teens driving, and going out with their friends and drinking. Yet parents are often not worrying about their teen who stays at home but is on their phone all the time. But they should be worried about that. I think parents are worried about the wrong thing. Can you propose solutions that might help people? The first is just awareness that spending a lot of time on the phone is not harmless and that if you're spending a lot of time on the phone, then it may take away from activities that might be more beneficial for psychological well-being, like spending time with people in person. Then for parents, I think it is [a] good idea to put off giving your child a smartphone as long as you can. If you feel they need a phone, say, for riding a bus, you can get them a flip phone. They still sell them. And then once your teen has a smartphone, there are apps that allow parents to restrict the number of hours a day that teens are on the smartphone, and also what time of day they use it.